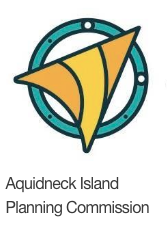 On Monday, May 8, the Aquidneck Island Planning Commission (AIPC) is being hauled before the Portsmouth Town Council yet again for an inquisition into their activities. The Town Council has been stiffing AIPC on their yearly contribution ($18K) despite the fact that the organization is delivering impact at a high multiple of that number. You can take a look at the AIPC's most recent activities in the budget request and letter they submitted to the Council for Monday's meeting: they developed an island-wide storm water management program (that specifically benefits Portsmouth), are working on transportation (specifically, an island bike path), supporting planning and grant-seeking efforts for coastal resilience, and serving as convenor for community conversations like the recent Newport County Legislative Forum, among other projects. You would think that the Town Council would be delighted to have a partner working on these issues. It allows Town government to be more lean, and helps combine our voice with the other two Aquidneck Island municipalities to advocate for funding and attention. But there are forces in the community who react negatively to anything that has the word "planning" in it, since it conjures up images of black helicopters and Agenda 21 commandos coming to take away all private property. Oh, and there may be a few people with specific axes to grind that are never disclosed. Just saying'. If you have some time on Monday night, you might want to stop by Town Hall and say a few words in support of the AIPC. You can read more about their work here. If you can't make it, you could drop a note to the Town Council indicating that you support the AIPC and would like them to support and work with the AIPC for the benefit of all Aquidneck Islanders. Click here to create an email with all Town Council addresses filled in.